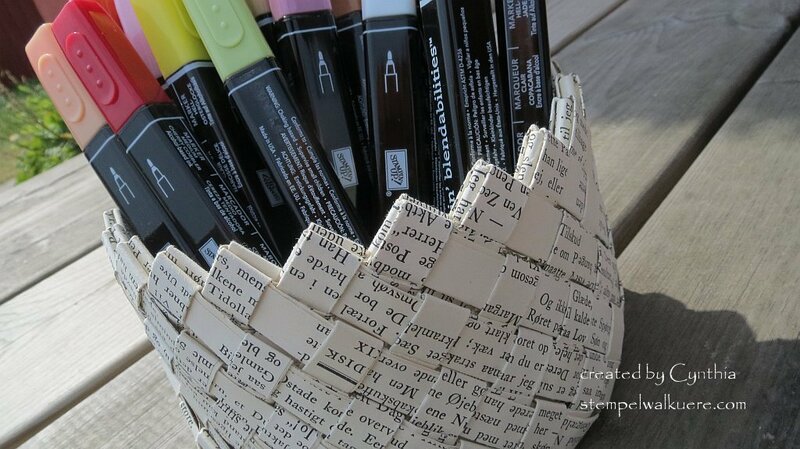 „Altered Art“ – giving „flea market finds“ a new life! 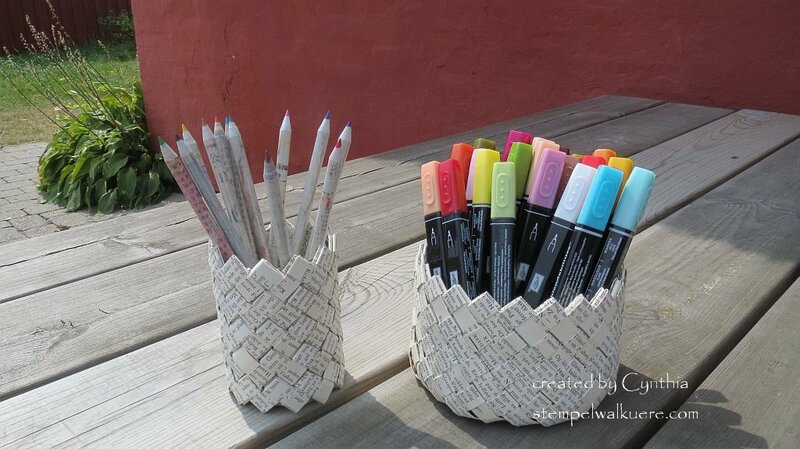 A recycled pencil holder for my super duper recycled colored pencils! 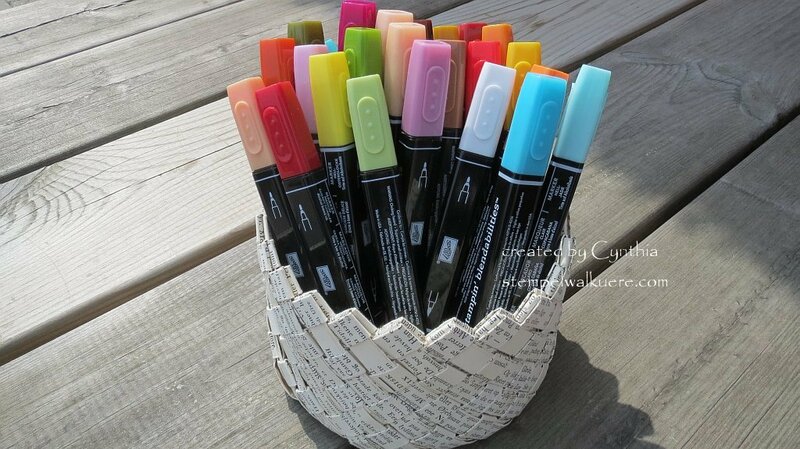 I know of course, that you should store your dual ended markers flat and not standing up on end, but I did think that my new „Blendabilities“ looked so fabulous in my newly created basket, that I dared to stand them up right just for the photo! Again I am thrilled with the result and can’t wait to make the next one! Check out my new workshop dates!!! Dieser Eintrag wurde veröffentlicht in Blendabilities, Flohmarkt/Flea Market, Recycled Art von stempelwalkuere. Permanentlink. Hallöchen Cynthia! They looks so great!! Könntest Du evtl. noch eine Anleitung dazu verfassen? Oder findet man eine solche bereits irgendwo im Netz? Viele liebe Grüße & keep smiling! 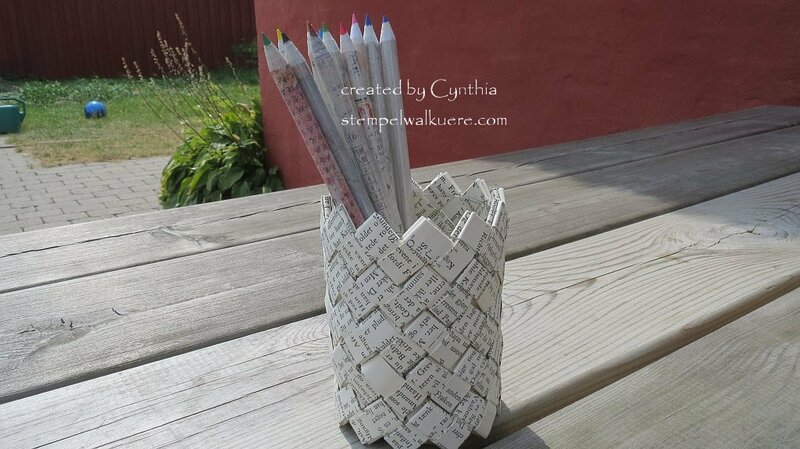 Ich habe eine Anleitung auf You tube für Dich gefunden (in Englisch) unter DIY Home Decoration-Recycled old calender or newspaper. Ich habe es gelernt selber als ich ein Kind war und habe meine Kaugummipapiere gefaltet um Armbänder zu machen. Ich wünsche dir viel Spaß beim nachbasteln!